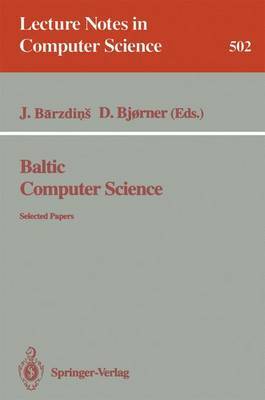 This volume presents a substantial part of the results obtained in the last few years in the field of computer science in the Baltic Republics of Estonia, Latvia and Lithuania. It includes results previously published only in Russian as well as completely new results. The following main topics are addressed: deductive synthesis of programs, automatic test case generation, and specification and generation of distributed systems. These are all fields where Baltic scientists have made substantial contributions. The volume contains both theoretical results and general descriptions and logical outlines of some practical systems.